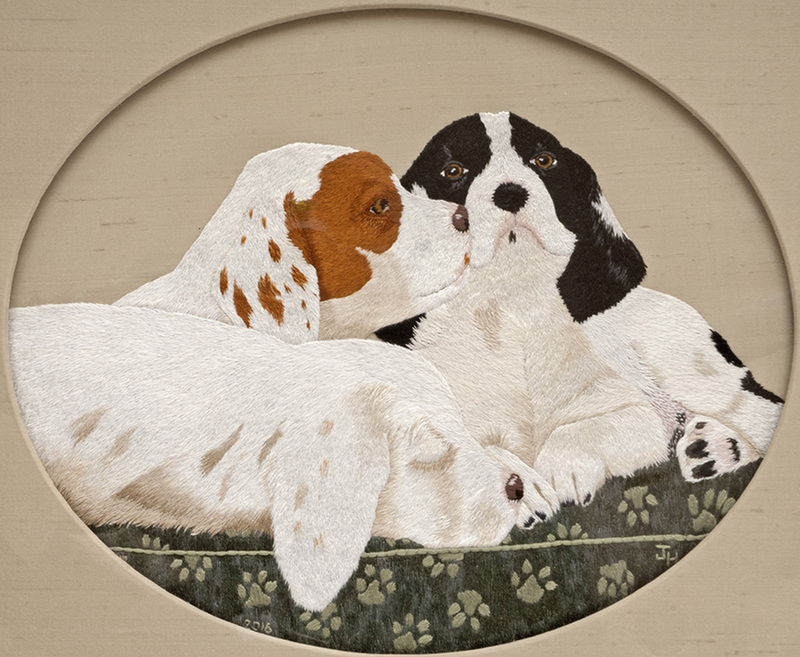 These three were puppies at different times but were recreated in the piece as they were as puppies. For a short period all three were alive at the same time. -I chose to omit the foot under the sleeping dog as I felt it distracted from the piece.